While there still has been nary a peep from the Democratic party as to who is "seriously considering" a presidential bid, the rumblings of any political move by one woman is sure to stir hopeful chatter. This time it's no different — as the political action committee (PAC) EMILY's List announced it would honor Hillary Clinton at their 30th anniversary gala next month in Washington, D.C., it looks as though Clinton's announcement of her presidential ambitions are sure to be a "when" rather than an "if." Hillary Clinton has dedicated her life to bettering the lives of women and families and has inspired the next generation with a focus on increasing economic empowerment across the country and around the world. EMILY's List and our members have been proud to support her since her election to the United States Senate in 2000, her subsequent campaigns, and throughout her tenure as Secretary of State. Along with groups like Ready for Hillary and American Bridge, EMILY's List has been eagerly laying the groundwork for a Clinton White House campaign, and through their "Madam President" campaign aimed at putting a Democratic woman on the presidential ticket and ultimately electing a female POTUS, has organized several events promoting the idea. The leading Democratic contender to the White House, Clinton is widely expected to announce her bid in the coming months — though the low profile she has kept in recent months has left supporters impatient for a confirmation. EMILY's List will also honor Rep. Gabrielle Giffords for her "commitment to community," according to the Associated Press. Giffords was the target of a horrific shooting during a political event in Tucson, Arizona, in 2011, when she was gravely wounded by a bullet to the head but eventually made a miraculous recovery. The March gala will see Clinton deliver a keynote address, during which she will maybe — hopefully — announce her intention to run? Pretty please, Hillary? Admittedly, that's just wishful thinking on my part, because the suspense is killing me, as I'm sure it is you. 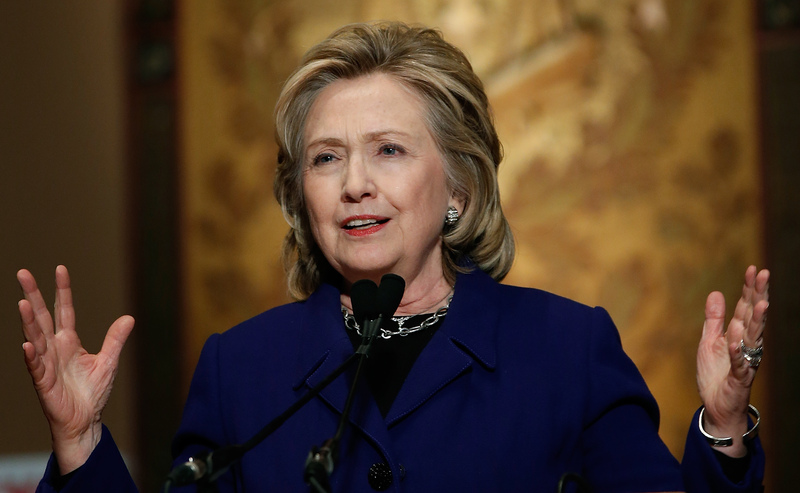 Some advisers have reportedly recommended a July announcement for her presidential run, so as to give the former Secretary of State more time to develop her message, policy and organization without the pandemonium surrounding a high-profile public campaign.